Yesterday we posted news about new epic pet stats coming post-Legion — and some of the stat effects were rather... interesting. Though we're sure many of you are growing tired of our annual April Fool's joke, we hope you enjoyed this year's fun gag! We enjoyed brainstorming ideas for new bogus stats, but there were a few that didn't make the cut. Do these seem familiar? Originally, the stats were based on the Seven Deadly Sins, but the four listed above didn't quite work out well with pets. It might have been fun to include 'Greedy' though — a stat that turns afflicted pets into Treasure Goblins! Are epic pet upgrades real? Short answer: Yes, but they are not currently available to us and won't be for the foreseeable future. Our new randomized stats were a fun twist on epic quality pets, an actual mechanic proposed by Blizzard. 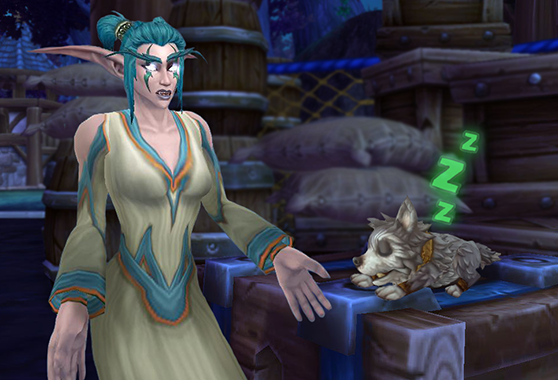 The feature debuted during Legion Alpha, and upgrading pets to epic involved new battlestones, which could be purchased from a vendor in Dalaran for 200 Pet Charms each. However, players expressed concern over upgrading an entire collection, as well as the impact increased pet stats would have on PVE and PVP Pet Battles. Ultimately developers decided not to release epic pets for the time being. But who knows? Epic pet upgrades may still be a possibility in the future. Preferably without the additional randomized stats though! We'd like to extend a big thank you to Ooghra, who created many of the April Fool's images, including the Pet Journal entry, stat icons and hilarious screenshots. Many thanks to Drrum (known in-game as Michelle De Rum) as well, who also provided expertly created images. Our April Fool's wouldn't be possible without these two very talented artists! You can enjoy more of Drrum's creativity at her Gallery of Pets and Mounts. Thanks for the pictures! A lot of work and engagement for that single silly day, wasn't itt? Both those players deserve 13 thumbs up. Those images are so good I want to download them to my PC! Are they cool with that?